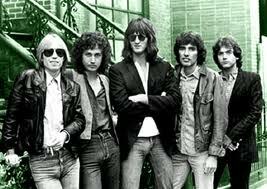 My first thought when the “Southern Accents” album from Tom Petty and the Heartbreakers first came to my attention in early 1985 was that they hadn’t gone into obscurity. It turns out that their 1981 and 82 albums had totally passed me by. I blame being in the service at the time. The second thought I had came via the video on MTV for the first single, “Don’t Come Around Here No More” and that was that Tom Petty had sold out and gone commercial, especially since he plays The Mad Hatter in the video which has an “Alice in Wonderland” theme. 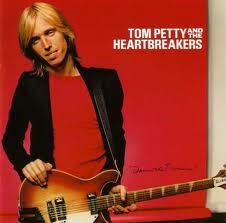 The further fact that Tom co-wrote the song with Dave Stewart from The Eurythmics only cemented that belief further. Thankfully, I am glad that I was completely wrong on both accounts. Let’s start with the not so positive: “Southern Accents” doesn’t topple “Damn the Torpedoes” from the top spot in my mind. Does that make it a bad album? Certainly not! There is many a good jam to be had on it. The first two songs, especially the opener, “Rebel,” really cook. Then again, Mike Campbell plays his best guitar solo on the second song. The irony here is that Petty also co-wrote that one with Stewart and likewise another great song, “Make It Better (Forget About Me. )” So, it’s been thirty years in coming but I must apologize and withdraw my accusation that Dave Stewart was trying to turn Tom Petty and the Heartbreakers into an 80s synth pop band. He wasn’t in any way. Other tracks on “Southern Accents” go further in highlighting the band’s diversity and talent. The title track is a decent ballad and I like the Southern rock leanings of “Spike.” However, my vote for hidden gem has to be “Dogs on the Run” because it’s the song which reminds me of my favourite album the most. That song alone is proof that the band didn’t sell out in 1985. “Mary’ New Car” does come a close second. 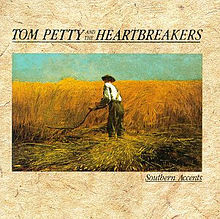 If I was so wrong about the “Southern Accents” album by Tom Petty and the Heartbreakers in 1985, I wonder how many other albums I was wrong about. Don Henley for one. Still, I was a different person back then and the lack of heavy metal played on the radio and MTV back in early 1985 only poured fuel on those feelings. This is a great album! This entry was posted on July 25, 2018 at 4:24 pm and is filed under 1980s, Music, Rock, Uncategorized with tags Americans, Classic Rock, Damn the Torpedoes, Dave Stewart, hard rock, Heavy Rock, MTV, progressive rock, Southern Accents, Southern Rock, The 1980s, The Eurythmics, Tom Petty and the Heartbreakers. You can follow any responses to this entry through the RSS 2.0 feed. You can leave a response, or trackback from your own site. As always, thanks for the re-blog. Love these guys! Unfortunately video not available. Watched on youtube. That’s weird, the video worked when I originally posted it. That’s modern technology messing with me again. Oddly, when a video goes unavailable with AOC, we add one or two more of the same, and that is when the unavailable video becomes available again. How weird is that? That is very weird, oh the wonders of modern technology. You are so kind to replace modern technology in place of Google youtube. Petty broke his hand punching the wall in frustration, right? I remember hearing about that. If it happened in 1985, I’ll have to write a post about it. Ouch! That was still painful. I remember hearing that when the tour for the album started, Tom wasn’t able to play guitar so he just sang and Mike Campbell did all the guitar duties. From this album, I have only heard Don’t Come Around Here No More, which admittedly is a pretty freaky video! I DO know Johnny Cash’s cover of Southern Accents (featuring Tom and the Heartbreakers!) and it’s FABULOUS. I heard some good things about Johnny’s cover of that song. I must have a listen and I’m glad I’m not the only one who thought that video was freaky.